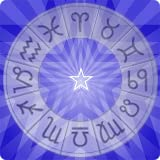 Horoscopes and detailed birth charts for you to browse and read at your leisure! Please note that these horoscopes have been provided by third parties and may not display if their site is undergoing maintenance. Enjoy!